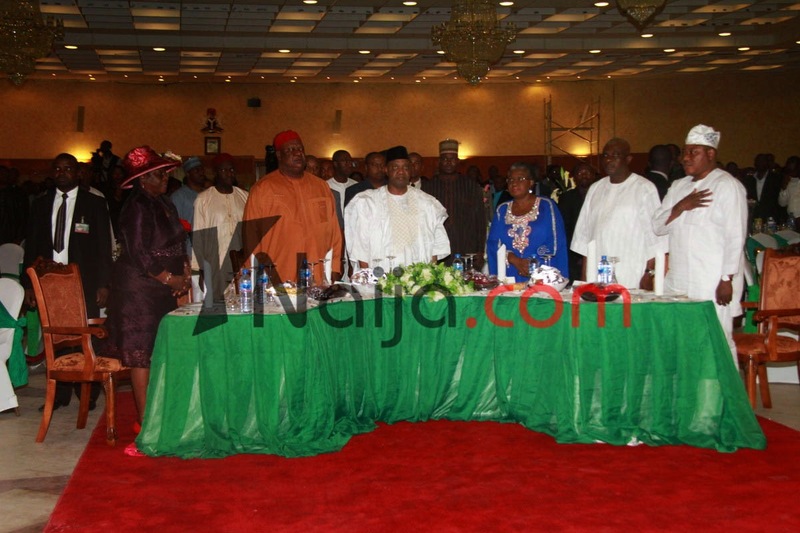 Here are my pictures from The Future Awards Honourees' dinner at Aso Rock! 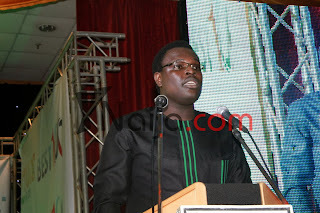 Chude Jideonwo's speech was the high point of that event for me, followed by Timi Dakolo's presentation. 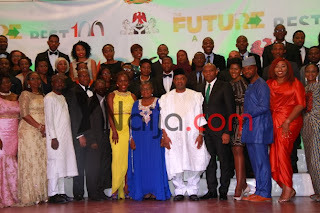 It was such a great outing as 100 best Alumni of the future Awards were presented to the President in consonance with Nigeria's centenary project in 2014. You could imagine the shock that coursed through an entire nation when a sitting governor –incidentally a popular, performing one– spoke those words to a poor, widowed hawker. 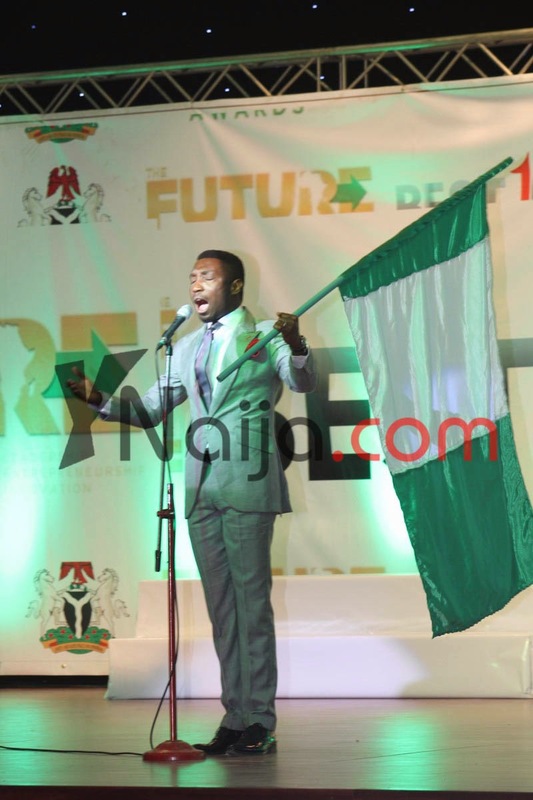 It was a singular and definitive moment—for her, for him, for me and for Nigeria. While the nation screeched over that dreadful moment, I was stunned into a silence. That video yet depresses me for the frustration and the despair it reveals from both sides. On the one hand was a frustrated governor weighted down by an uphill battle to improve the condition of his state, and on the other, a woman only trying to make ends meet because of a poverty ensured by leaders before him. Both with valid motivations, and both caught in a vicious cycle that must be broken. Of course, that governor – who is actually a man of the people – has done the right thing and apologised – but that statement continues to ring; capturing, as it did, the ethos, and pathos, of what it means to be a citizen in Nigeria for many of us. Many people are frustrated. I too am frustrated. Exhausted by the sheer effort it takes to be Nigerians; going downstairs in the middle of the night to put on the generator, giving pocket money to your younger brother at home from a 5-month ASUU strike that just has to end, having a policeman harass you while you earn a honest living in your dutiful ‘danfo’, reading the newspapers on a daily basis. Frustrated by what seems like a systemic disregard for citizens – the legacy of leadership for us for many years. And this is why people are so angry. That is why they can’t even isolate the good and celebrate it. And this is why when governments, or even corporates, speak of the good that they have done, and of course there is plenty of good across the states of the country, that agenda is lost in the din. For many young people, this anger continues to rise, though that’s not necessary a bad thing, because it is better to be children of anger, than children of apathy. But those same young people have given Nigeria so many reasons to celebrate; a huge part of the silver lining that still gives hope in our country. I am so, so proud of my generation – and even prouder that The Future Awards Africa has continued to achieve its goal of profiling, creating, building, cheerleading or simply presenting a huge percentage of the young Nigerians that rule the world presently. And we have proven – especially with those gathered today, icons and influencers who are not necessarily celebrities, but who make things happen across the country across, technology, governance and advocacy – that much is possible in Nigeria, by Nigerians. I am proud of our 2007 advocacy award winner Gbenga Sesan, who has built lives and hands with Ajegunle.org, proud of our Young Person of the Year 2007, Tara Fela-Durotoye, who single-handedly built and fuelled the make-up industry in Nigeria with branches across 28 states and thousands of representatives. It is easy these days to forget that Ndidi Nwuneli, whose LEAP Africa was NGO of the Year 2006 and who has built one of the continent’s most enduring non-government organisations, is barely 35. There is Alkassim Abdulkadir, who has broken boundaries in international journalism and was Journalist of the Year 2012. I am proud of Tolu Sangosanya who won for advocacy in 2008 and subsequently raised millions of naira to help children be fed and educated at the Dustbin Estate in Lagos, and our Excellence in Public Service winner in 2011, Fatima Zara Modibbo, who has committed her skills to helping under priviledged children in the North. 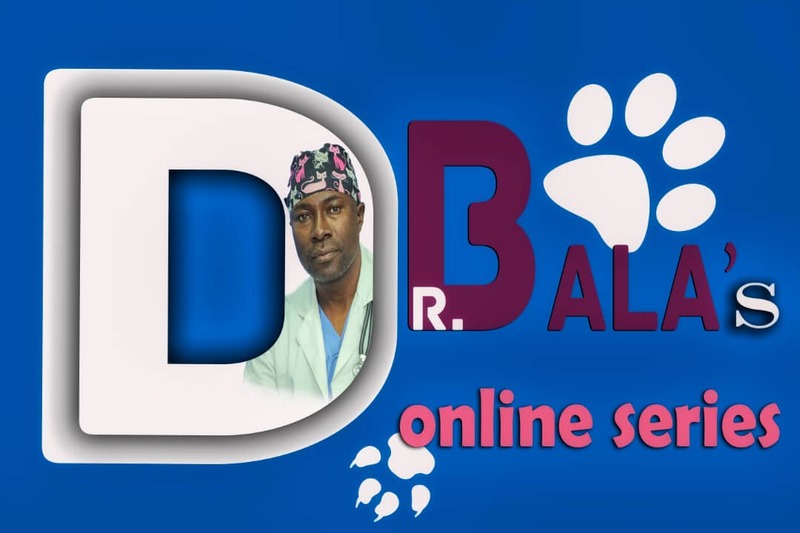 I am proud of my team, including my partner Adebola Williams, the RED brain trust Mfon Ekpo, Aziza Uko, Alexander Yangs, Debie Magnut, Tolu Orekoya and those who make it happen daily – Isime, Bukonla, Seun, Blessing, Tobi, Sola, Daphne, Hycinth, Samson, Samuel, Taye and everyone else – who have taken this group from a borrowed one-bedroom office in 2005 founded by three teenagers and built it into a 50-staff movement with offices in three countries, project chapters in eight and its founders named this year by Forbes as two of Africa’s best entrepreneurs under 30. I am proud of Omotola Jalade-Ekeinde, nominated for Actor of the Year 2006 and one of the awards strongest ambassadors, who was this year named one of TIME Magazine’s 100 Most Influential People in the World. I am proud of her and all the other young people joined her in making history, answering when we called in April 2010, marching on the streets of this same capital city to ensure the rule of law was obeyed. I am proud of those who came out in record numbers to Register, Select, Vote and Protect in 2011, and the young people who held the continent’s first youth-centred presidential debate moderated by our host today, Ebuka Obi-Uchendu. And I am proud, sir, of those who stepped out to demand accountability in 2012, and those – led by ‘Yemi Adamolekun, Executive Director of EnoughisEnough Nigeria – who, in October this year, protested the deeply worrisome cost of running #OurNASS. I am proud of my friends who are set to make a once-in-a-generation statement about the strength and impact of our numbers at the 100,000 Voices event in January 2014. And I am so proud of the guys at the Co—Creation Hub, who are incubating Nigeria’s next generation of ceiling crashers and businesses that just might take over the world. We are a generation that has done a lot with so little, that has blossomed like roses amongst thorns. What we have asked for in return is not much – not shallow requests like ‘a youth minister who is below 30’, but something most important. We want the environment and the empowerment to keep expanding the value we are adding – amongst others, power solved once and for all, connectivity that is at par with the rest of the world, ministers who will actually do the needful. Mr. President, some will say you are perhaps the first president in my lifetime to take young people seriously as a demographic, even if politically: I am excited when I see your communications technology minister take young Nigerian businessmen to Silicon Valley to broaden their impact or when your coordinating minister of the economy, Ngozi Okonjo-Iweala name-checks e-commerce giants Konga and Jumia in important policy pronouncements or when you show off creative industry frontrunners in trips outside Nigeria. And then there is agriculture, for which your very impressive minister – who is driving a revolution across the nation – just got rewarded as Africa’s Person of the Year. Many are glad for these, especially when they look beyond the sound and the fury. What we are asking for is more. Because, as a generation, we deserve more. And we know that we can do more if we get more. That has been our mission at RED, to expand the opportunities and the space to build and create – through the jobs portal Aiki.ng launched last month in collaboration with Microsoft, through the m-Hub collaboration space for young people in the media, through Red Media SME Support and others. 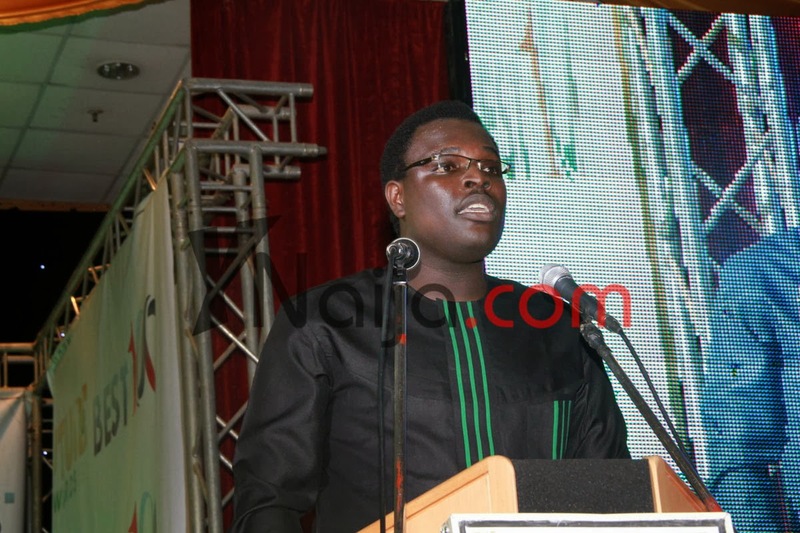 This year, The Future Awards Africa has traversed the country. In Ekiti, we engaged directly and honestly with young leaders, in Lagos where we have continued our agenda of building through events with the United States government, the Tony Elumelu Foundation and the British Council, in Edo to build the capacity of young Nigerians, and in Addis Ababa working with the African Union to spread this message of possibility. That journey will continue, to Bayelsa, to Ondo, to Rivers to Akwa Ibom, to Osun, and across Africa. We are determined to sustain this change that we seek; determined to continue working as builders, cementing bridges that can drive change across the country, moving past our comfort zones and going beyond our anger – showing a better way for a new generation. Because we are Nigerians. And we because we belong to this generation. It is in our character to keep walking, to keep moving, to keep pushing. Born in a land blessed beyond comparison; we have struggled, we have been afraid, we have even failed, but we have risen time and again, because we are unified by hope, inspired by the possibilities. So here we are standing tall, through adversity, we will stand, we will shine, we will blossom; we will never stop. I thank you Mr. President, for hosting our Best 100; I thank everyone who has helped to make today possible. God bless you, God bless us all, and God bless Nigeria.